"The straightest people can be the most twisted"
The psychologically disturbing new Thriller feature film "Clean Cut" will have its highly anticipated World Premiere at the 8th Annual 2015 Atlantic City Cinefest Film Festival. "Clean Cut" will be Premiering at the historic Dante Hall Theater on North Mississippi Avenue in Atlantic City, NJ on Sunday October 18th 4:30PM. The film boasts one of the most stellar ensemble casts assembled and a original story so shocking it will keep your mind filled with paranoia for weeks. From Award Winning Actor Keith Collins ("The Meat Puppet", "Gravedigger"), the profound ink of two-time NY Emmy Award Winning Writer Joseph Pepitone and Billy Pepitone ("Stuck in the Middle","The Jersey Devil") and the guitar strings of legendary rock musician Ron "Bumblefoot" Thal ("Guns N' Roses") comes one of the most damaging tales of fear ready to unfold in Atlantic City!! 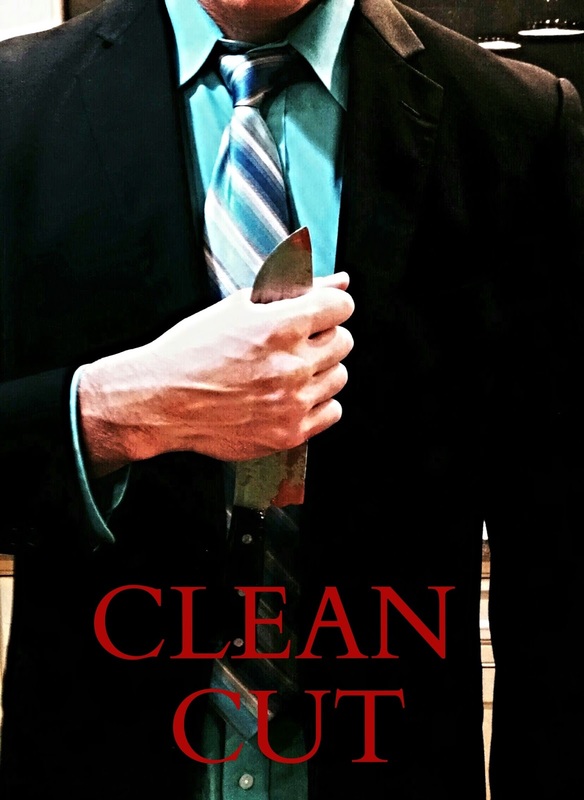 "Clean Cut" tells the story of Bill Horton who at seven years old watched in horror as a serial killer murdered his mother. Known as The Evangelist, he places a bible next to her body and quotes scripture as he leaves Bill alone and destroyed. Thirty years later, Bill has grown up and appears to be a model citizen, spending his days cleaning his house and baking. He has, however, picked up the mantle of the Evangelist, killing those who he finds wicked and evil and leaving a bible by their bodies. Bill only opens up to Dr. Laura Cooper, a psychiatrist, who discovers Bill's dark secret. She contacts young Detective Edward Legros who is working on the case with his cynical, veteran partner, Detective John Vance. But what Vance knows about the original Evangelist will lead to a bloody showdown. STARRING: Keith Collins, Doug Bollinger ("Waltzing Anna"), Samantha Artese ("The Coffee Shop"), Michael BIlly ("The One") WITH Gervase Peterson ("Survivor"), Billy Sample ("Former NY Yankee") AND Ron "Bumblefoot" Thal ("Guns N' Roses"). Directed By, Joseph Pepitone. Produced by Keith Collins. Executive Producers Steve Wolf ("Lady Peacock"), Jonnie Rockwell ("The Anthem"), AJ Mattioli ("Words"), Cory Green ("Rebel"). CO-Executive Producers Doug Bollinger, Joseph Pepitone. Cinematography & Edited By, Cory Green. Story By, Keith Collins. Written By, Joseph Pepitone and BIlly Pepitone. Original Music By, Ron "Bumblefoot" Thal.